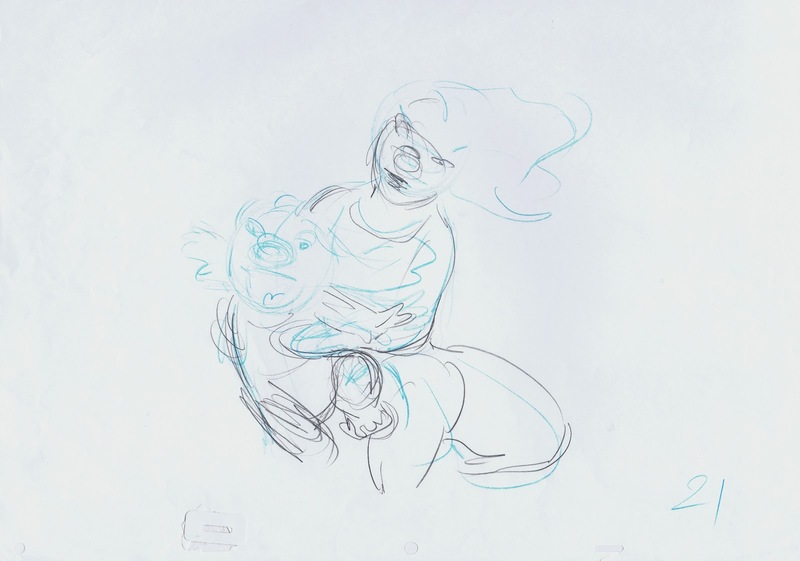 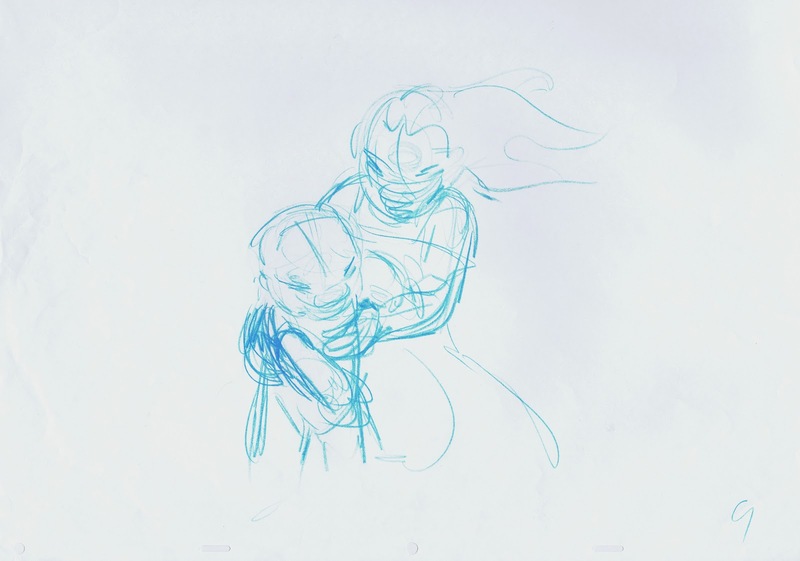 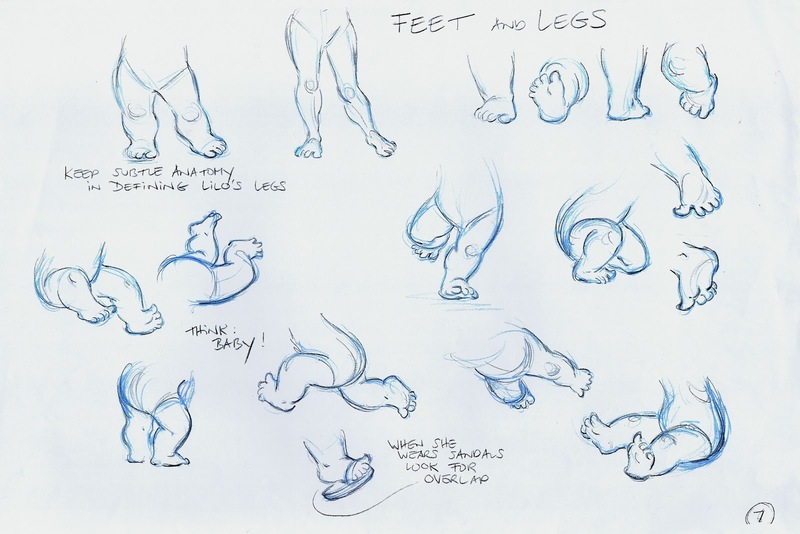 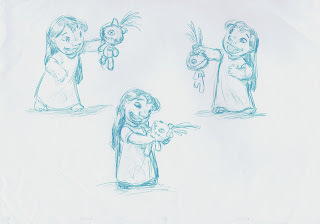 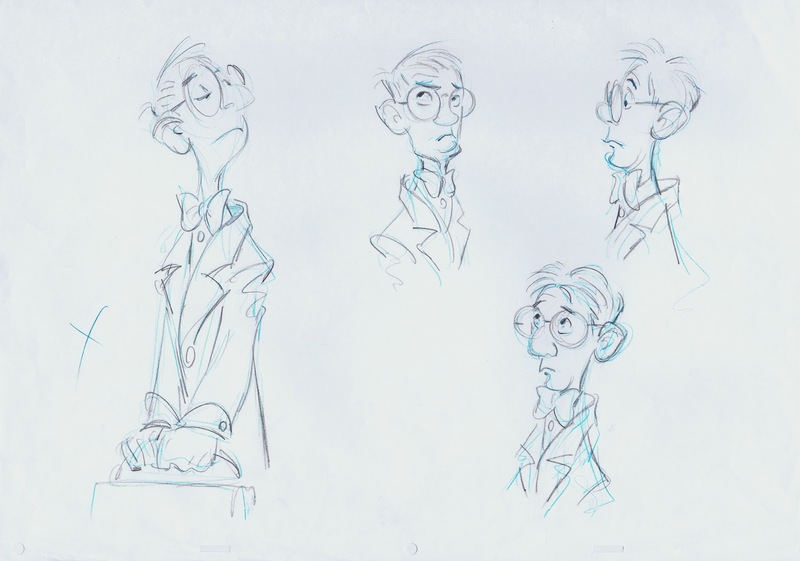 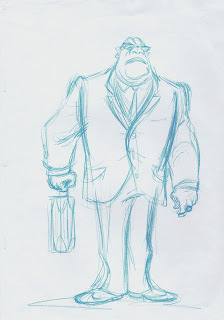 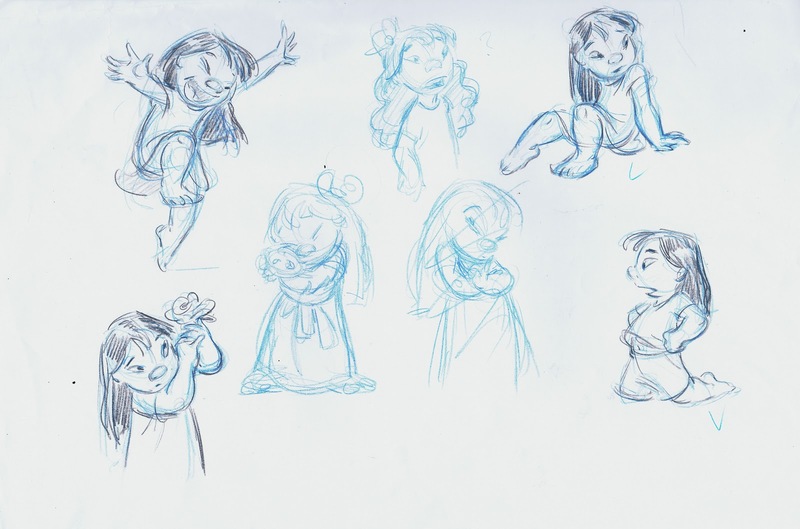 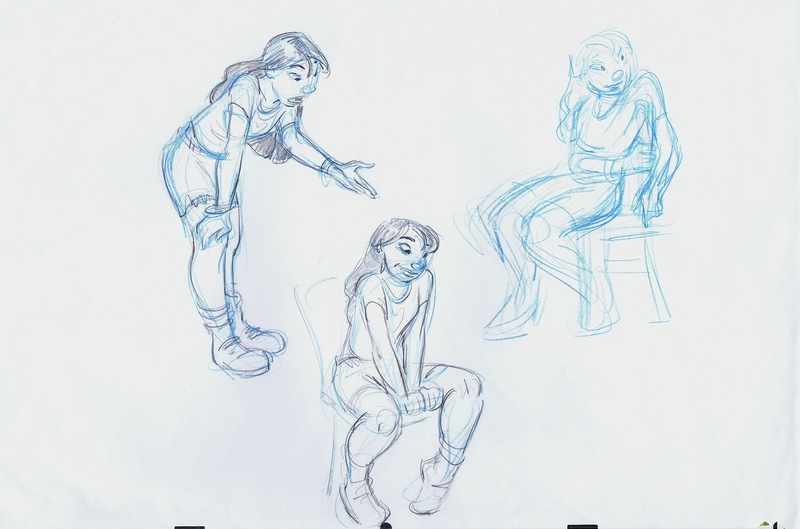 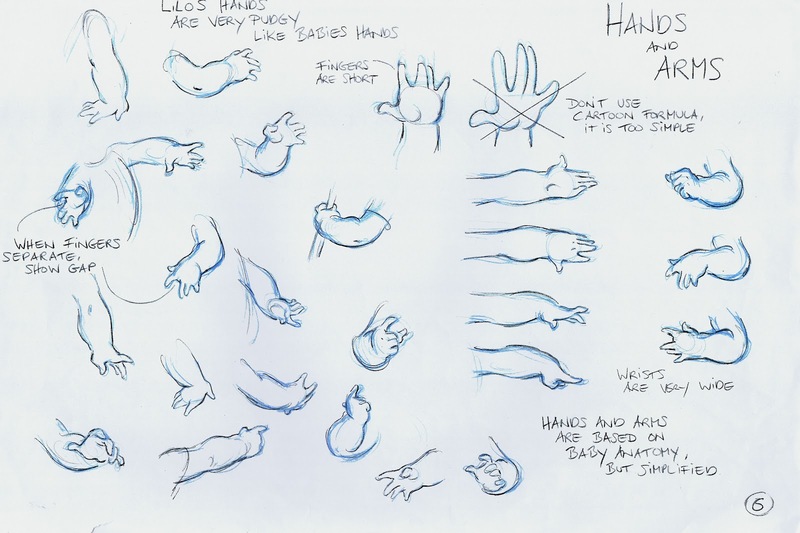 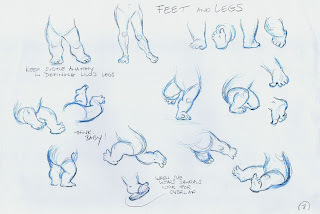 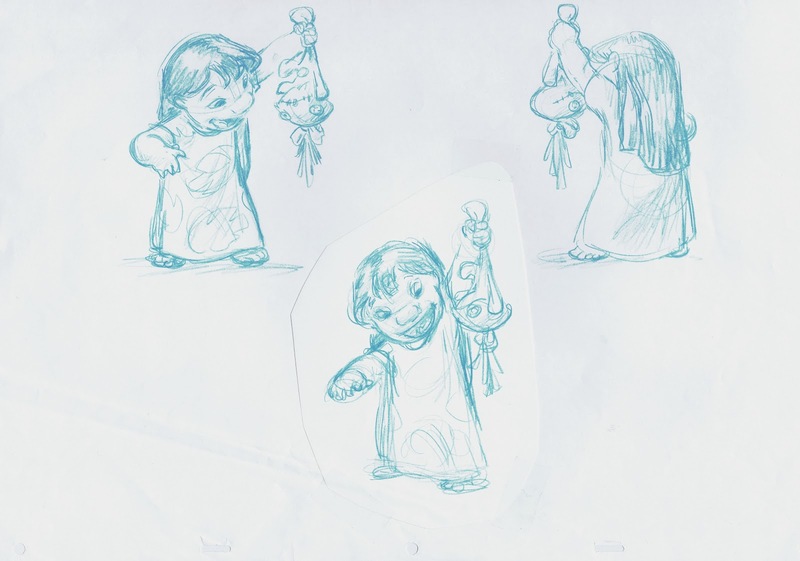 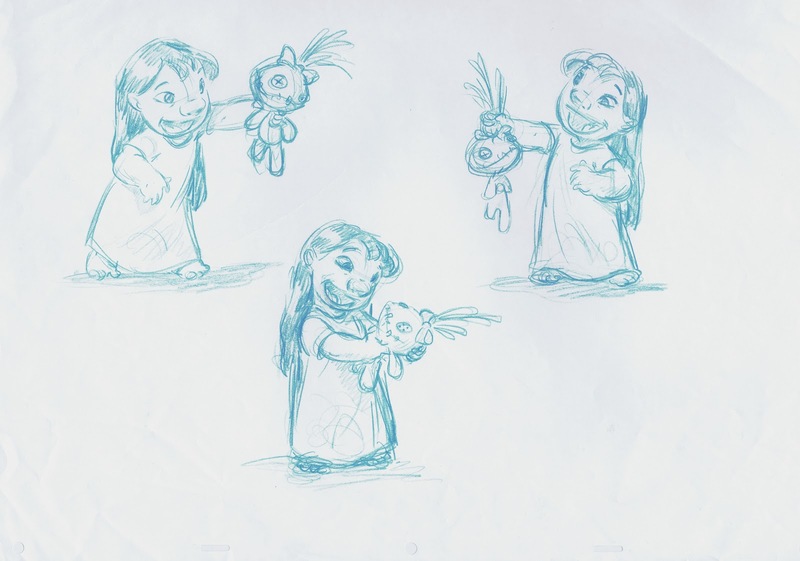 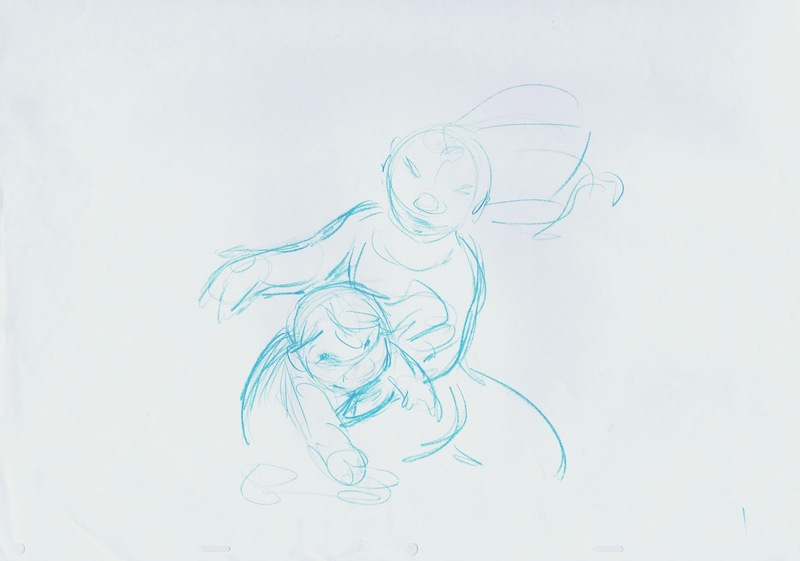 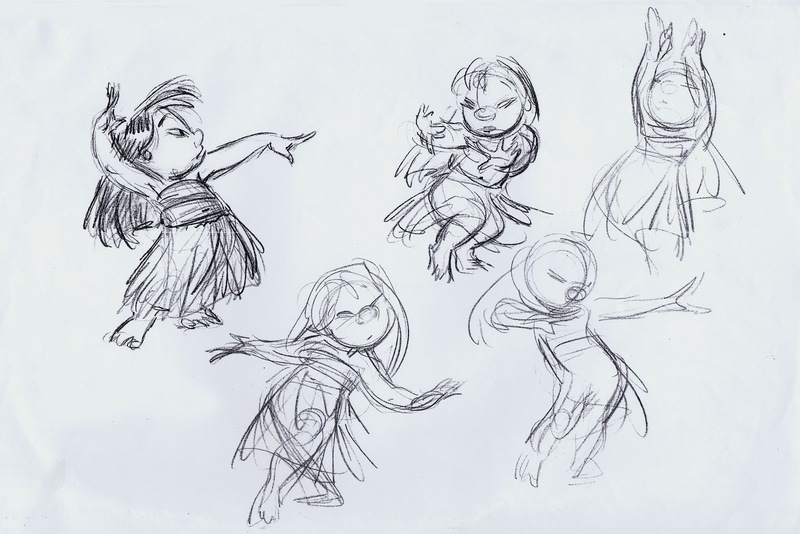 Since I was the first animator assigned to "Lilo & Stitch", directors Chris Sanders and Dean DeBlois asked me to fool around with animation designs for the film's cast. 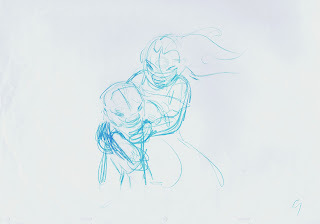 (Based on Chris' work). Here you see a few of my first attempts plus a few odds and ends I found. I drew these poses without having any idea who Lilo really is. 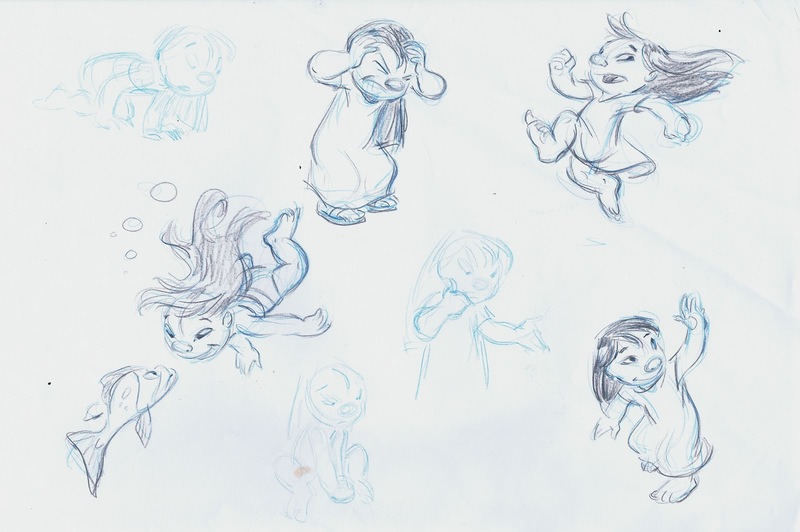 Way too active. 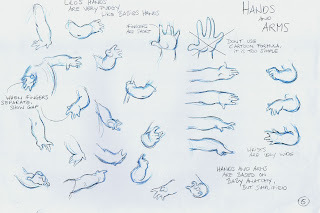 These are based on Chris' design. 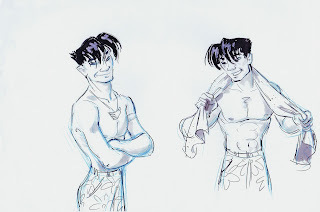 Nani ended up being animated beautifully by Stephane Sainte Foi. 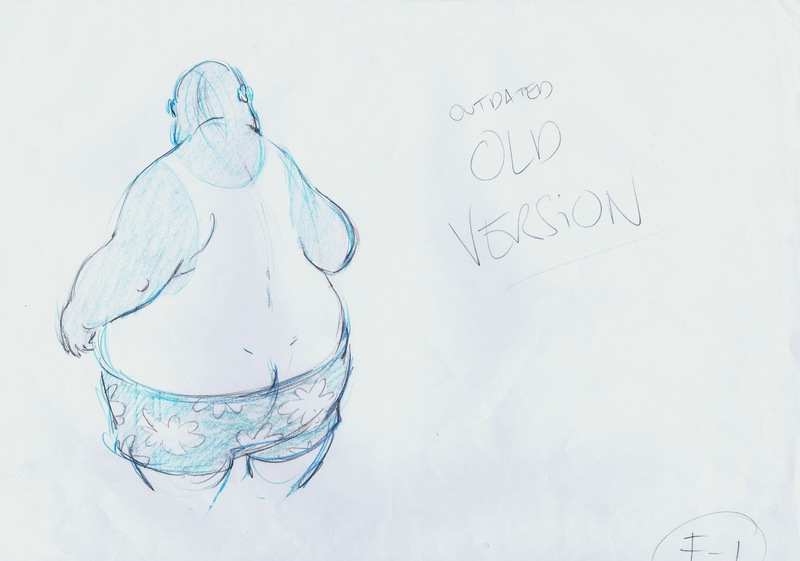 An early design idea for David. 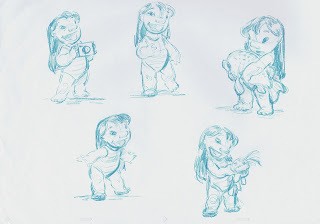 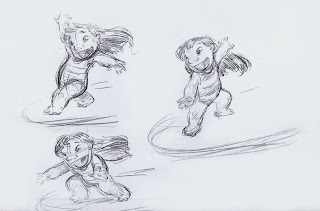 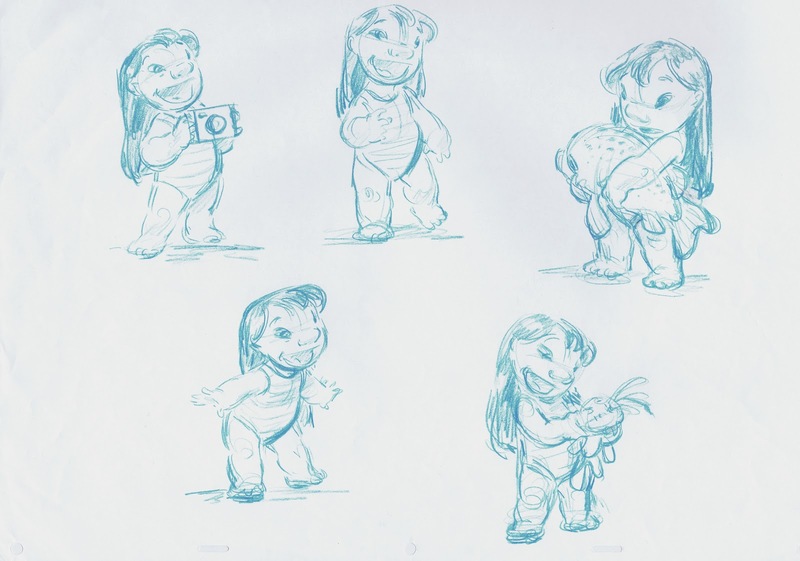 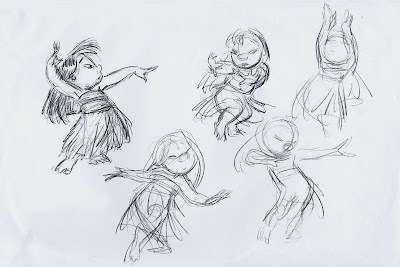 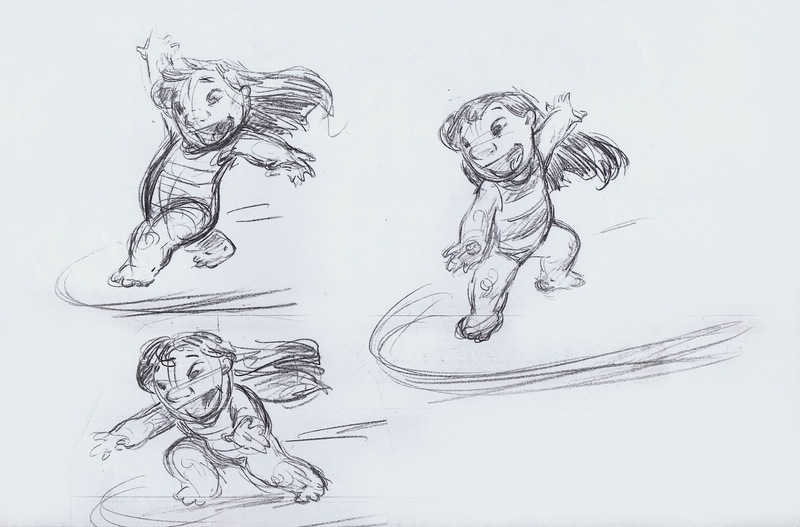 This wasn't easy, trying to get authentic Hula poses into a baby body like Lilo's. To get these poses I studied footage of surfers. The following three pages show research for a Lilo Maquette. 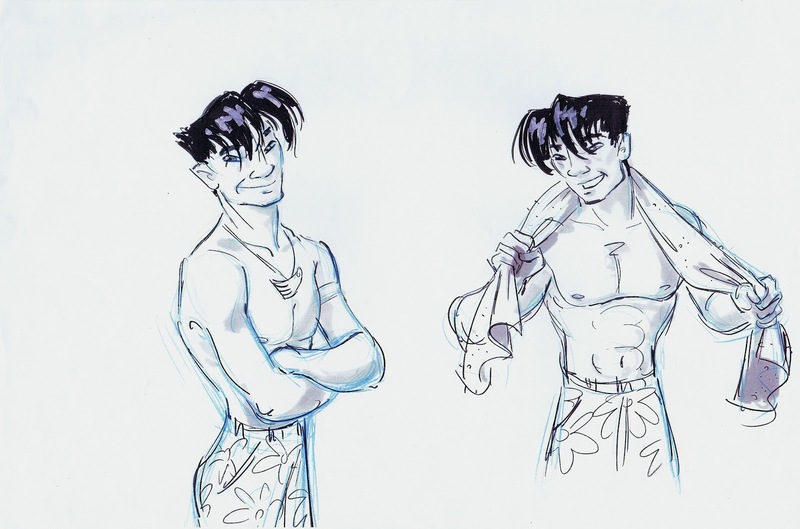 These were part of the model sheet package. 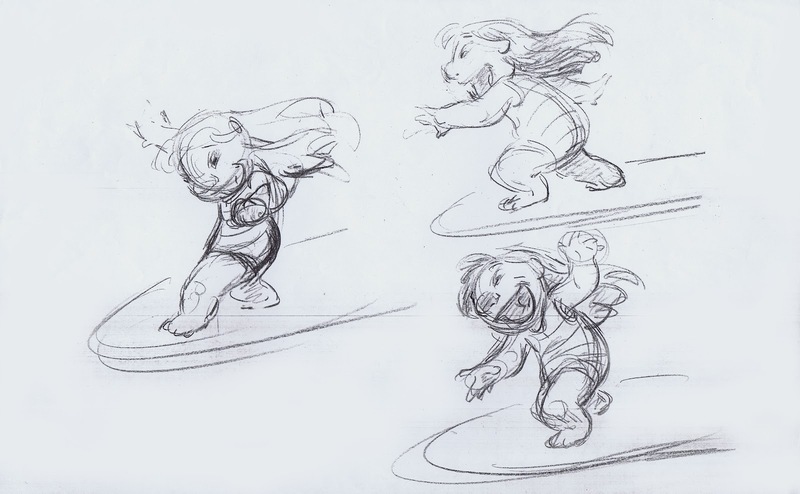 Three first pass poses with Nani and Lilo on the surfboard. 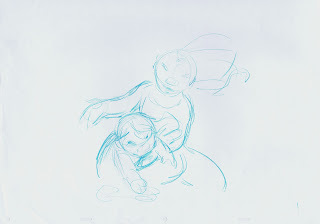 We started out with a kind of a wimpy social worker. 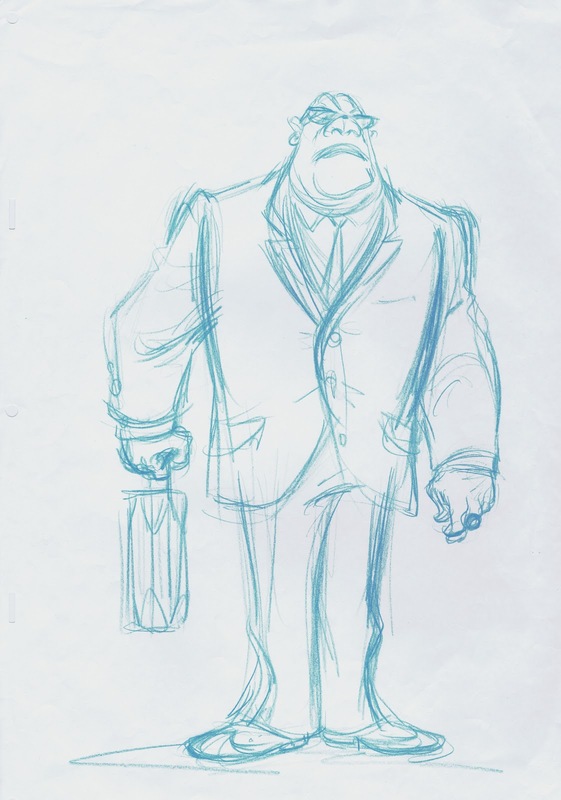 That didn't seem to work in the sequence, so I was asked to try a design that would reflect the ultimate authoritative social worker, Cobra Bubbles. 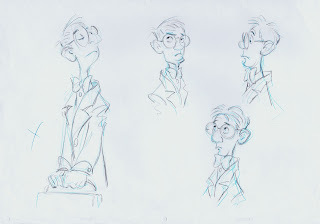 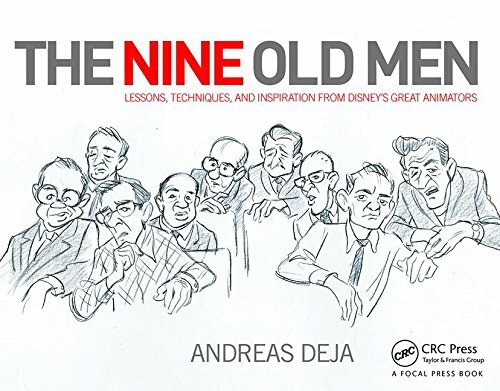 He was animated beautifully by Byron Howard.